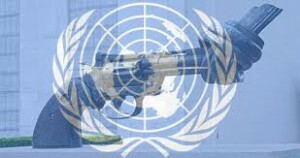 The United Nations is “on a collision course” with the U.S. Constitution’s Second Amendment and the natural right of all people to defend themselves,” the Second Amendment Foundation said today in a statement to the U.N.’s Programme of Action (POA) meeting in New York. The U.N. has failed to recognize this human right, she stated, whether it deals with POA activities, the infamous Arms Trade Treaty or even its own Human Rights Council. Frey’s report was titled Prevention of Human Rights Violations Committed with Small Arms and Light Weapons.